Did you fill out a bracket? I always do, but have not come close to winning since blind picking in high school. It is so fun to follow the games, see who has the cinderella story, and pray that U of A makes it to the finals. 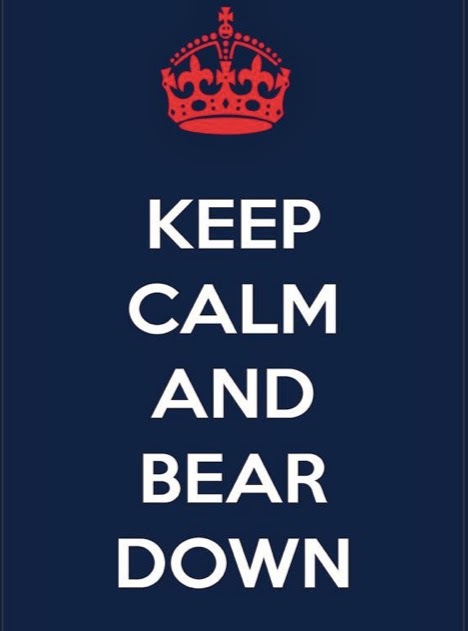 If you are into college basketball, then keeping calm can be kind of hard while watching the games. As a Arizona Wildcat with a number 1 seeded team, my stomach turns every time I think about the games which begin today for them. My memories of college are some of the best of my life and staying a fan of your team helps you keep those alive. Even though I will not be taking shots at Dirtbag's (slogan: A Part of Growing Up) this weekend, I can still have a glass of wine and toast to all my fellow cats across the country who I still so fondly think of. So cheers to your team winning their games this round and finding some calm in your weekend as well.